This is a good week for beautiful people! Just recently, Chris Waite (Project Coordinator of OHI Myanmar), introduced me to a very stylish American Woman, Sophie Stone. Sophie, on behalf of her American Rotary Club, asked Chris to choose a Burmese girl requiring cardiac surgery that she could sponsor. The lucky girl ended up being six and a half year old, Shwun Lae. She presented with a hole in the major middle wall of her heart, which has now been surgically sealed thanks to the OHI Team. The young girl is doing very well. 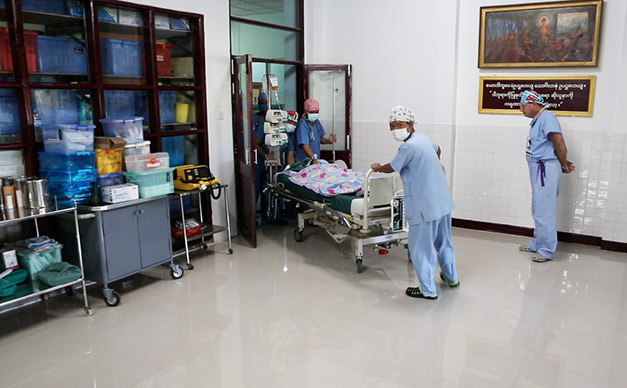 (left photo) Young Shwun Lae is transported from the ward for theatre. (Right photo) The young girl is seen being transferred to the theatre bed.A very anxious time for anyone. One can’t help but feel what she might be experiencing. (above left photo) Anxiety is gone. Shwun Lae is fully sedated and intubated, with ventilator helping her do the breathing. She is safe and sound before the surgical procedure on her heart begins. (above right photo) Operation successful and all finished. 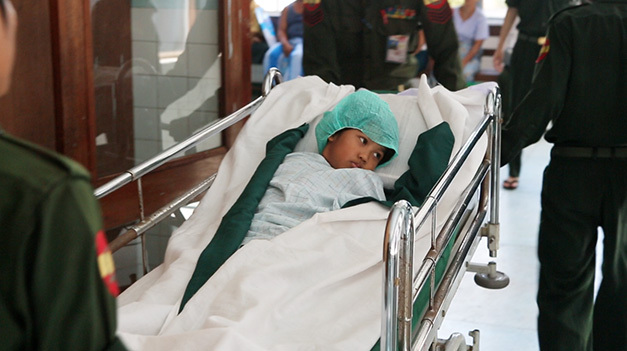 Our little Rotary sponsored girl is being transferred back into the ICU at Yangon’s Military Hospital. 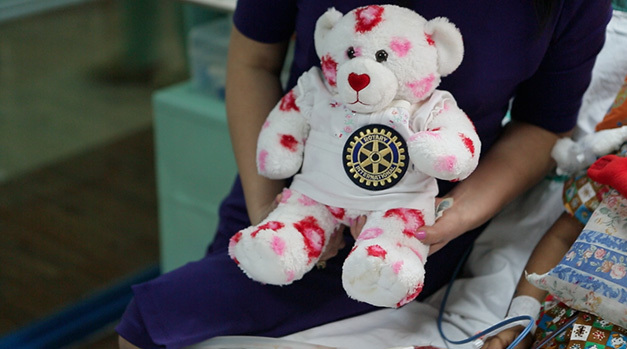 How cute is this Rotary Bear? Sophie Stone and her 16 year old daughter came to visit Shwun Lae Win the day after her operation. They gave her the bear, it may become a family heirloom because of it’s significance. Sophie Stone and her husband both moved from Myanmar and have lived in the USA for the past 18 years, in order that her husband could work as a Pastor for his church in the USA. Sophie was born in Begal, Myanmar. The new one-year appointment of President of the Paramus Sunrise Rotary Club (New Jersey, USA), was accepted by Sophie this year. 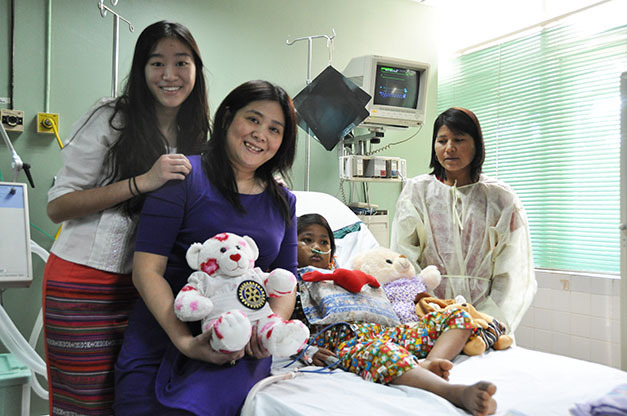 Their Rotary Club have a ‘Gift Of Life’ program that they sponsor children through. She could identify that these funds would be well invested in her country of origin. By a stroke of luck, Sophie Stone discovered the OHI Website and felt a connection when reading the Myanmar blog, so then made contact with OHI. The Myanmar OHI team thanks you Sophie and your Rotary Club for freely giving a significant and generous donation to an excellent cause! At the same time, we also need to acknowledge some Rotary friends back home in Australia! 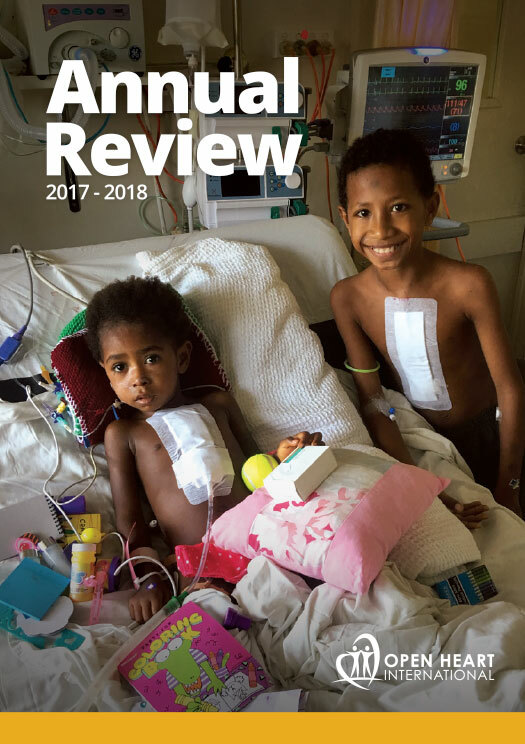 The Mosman Rotary Club in NSW, Australia have been supporting OHI in Myanmar for many years – their generous and continued financial assistance is very much appreciated!